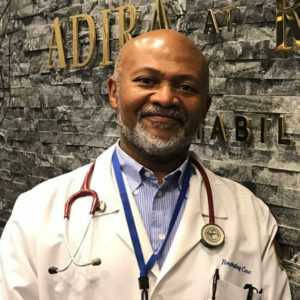 This week as part of our Getting-to-Know-You series, we would like to introduce you to Jean Labidou, RRT/NPS, Adira’s Director of Respiratory Therapy. Jean is the lead clinician on our critically acclaimed Vent Unit and he brings three decades of healthcare experience with him. Prior to joining this facility three years ago, Jean worked as the Assistant Director of Respiratory Care at St. John’s Hospital and has experience with all across the spectrum, from infants to the elderly. He then moved on to become the Assistant Director of Respiratory Care at this facility when it was called Michel Molotz. However, once the new owners took over, and it became Adira at Riverside, Jean was promoted to Director of Respiratory Care. When you come to Adira, be sure to come by and say hello to Jean. 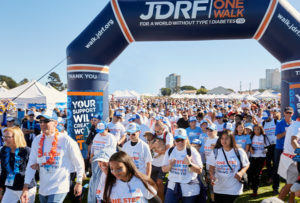 We are so excited to announce that both of our facilities, Sprain Brook Manor and Adira at Riverside, will be participating in the JDRF One Walk to end Type 1 Diabetes at the Yonkers Raceway on October 21st. While this illness is referred to as Juvenile Diabetes, it affects millions of children and adults around the world. Right now, there is no cure but the JDRF is working tirelessly to change that. Let’s help create a world without T1D! What’s life like as a resident at Adira at Riverside? One of our lovely residents, Eleanore W., shares her experience at Adira.